Saturday, April 27, 2019 at 1 PM – 3 PMWhen David Lynch moved to Philadelphia in the late 1960s to attend PAFA, he discovered a city that was both terrifying and inspiring. Explore the neighborhood just blocks away from PAFA that so electrified Lynch’s imagination with two guides: Hidden City’s Peter Woodall and Bob Bruhin, photographer and author of “Walking the Eraserhood” (https://ehood.us/walking ). During this one-and-a-half hour walking tour, we’ll delve into the area’s industrial history, as well as the sights and sounds that inspired Lynch’s movies, particularly Eraserhead. Meeting point: SE corner of N. Broad and Noble streets at Rail Park entrance. Free. Public. Rain or Shine. My first reaction to the Callowhill district was to take out my phone and start taking pictures. Eventually this became the focus of my first book, “Walking the Eraserhood,” a photo essay exploring Callowhill between 2009 and 2014 and discussing the influence the neighborhood had on the work of painter/filmmaker David Lynch. This year I would like us to celebrate together by photographing The Rail Park and surrounding neighborhood during the period photographers call The Golden Hour, and sharing our resulting images via social media. Of course, as a Jane’s Walk, open discussion will be strongly encouraged, while we explore and document. Hopefully we can all learn together!! Walk begins at SE corner of Broad and Noble (at the Rail Park entrance) and will end at The Patio (500 N 10th St). Accessibility considerations: uneven terrain. Non-accessible curbcuts and/or stairs. low light/nighttime. Chinatown North? Callowhill? Spring Arts? Loft District? Eraserhood? In a neighborhood that can’t agree on what it should be called, how will they decide who, if anyone, should have the power to tax and spend in the name of business and community development? Spring Events at the Rail Park! 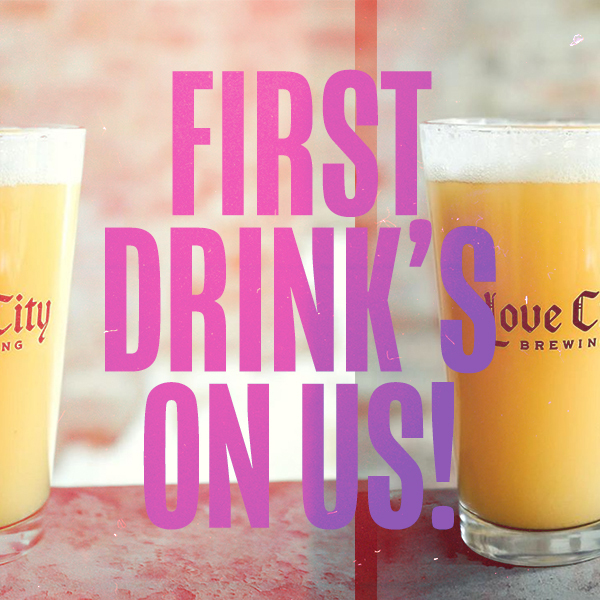 Come celebrate how far the Rail Park has come during a Members Happy Hour hosted by Love City Brewing! Meet the Friends of the Rail Park team, and fellow members and park lovers, while getting a first look at all the exciting things we’re up to this spring and summer. First drink’s on us! More events: Spring Events at the Rail Park! Bison Coffee will set up shop at new boutique residential property Sixteen Hundred. In an interview this weekend, film director, musician, and painter David Lynch let it slip that the famously mysterious “the owls are not what they seem” proclamation from the second season of his 1990-91 hit series Twin Peaks was a deliberate reference to Temple University. It seems memories of that time were on his mind when he and Mark Frost were writing the Season 2 scripts, and the reference crept in almost without Lynch realizing it. On Wednesday, March 27 from 6 PM – 9 PM, head over to The Trestle Inn for their 7th Annual Bourbon Battle, which will benefit the PSPCA as bartenders battle it out with Woodford Reserve Bourbon.